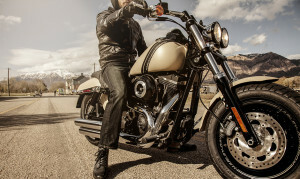 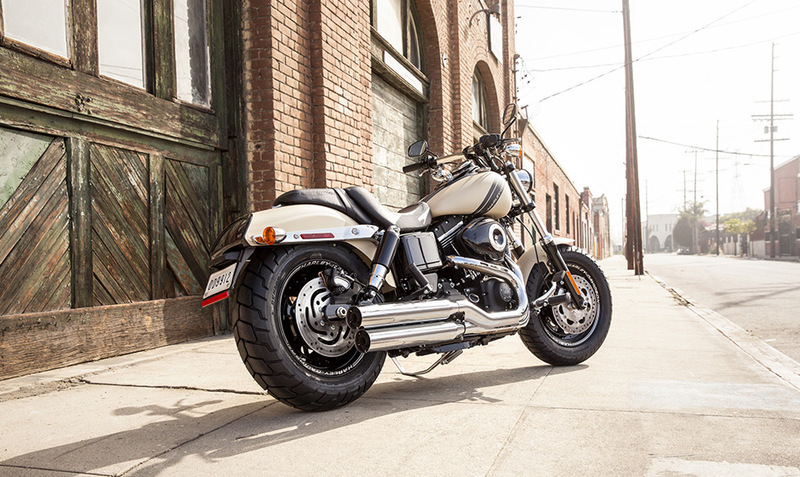 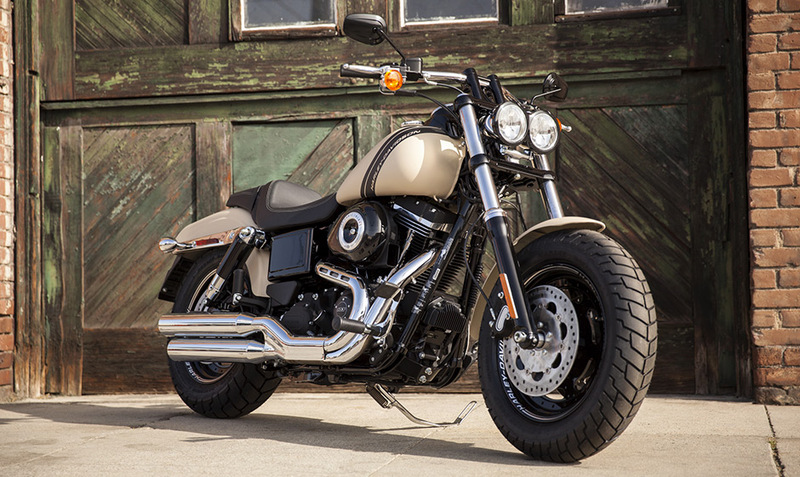 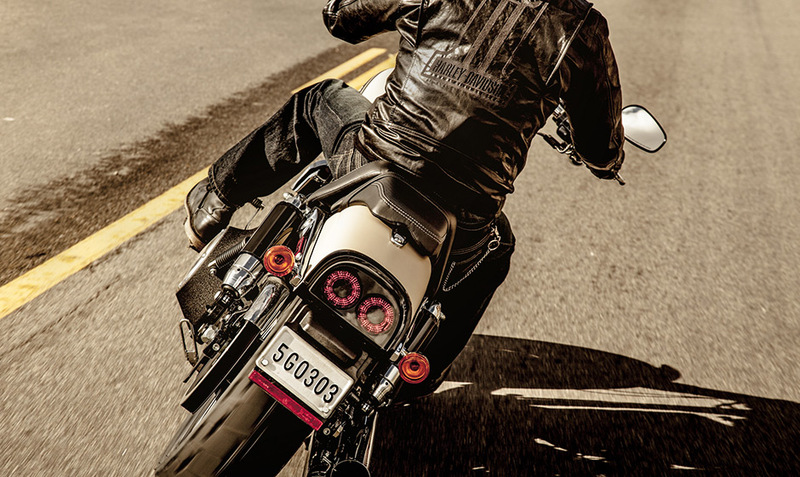 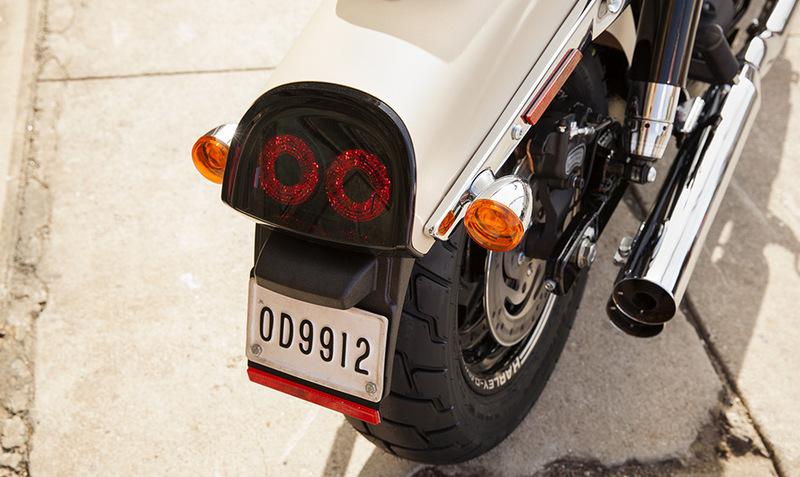 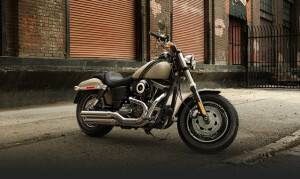 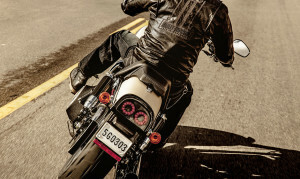 The Fat Bob® boasts drag-like styling, with a unique 16-inch front wheel that’s wrapped in a huge 130mm tire that provides a unique custom fat look. Of course, it also adds a plush ride and exceptional grip. 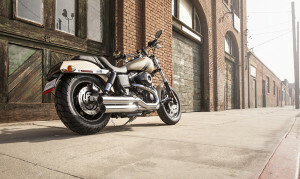 The big front tire is matched by an oversized front triple clamp fork that provides awesome stiffness for confident handling, as well as another oversized tire in back to deliver big power to the ground. 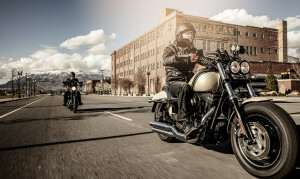 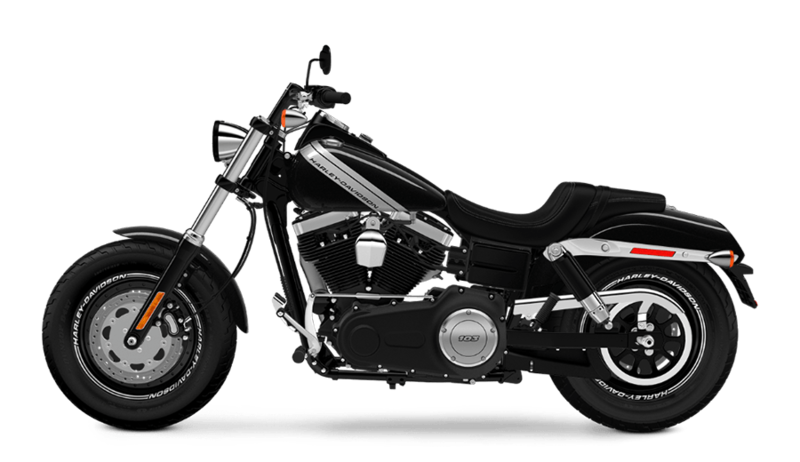 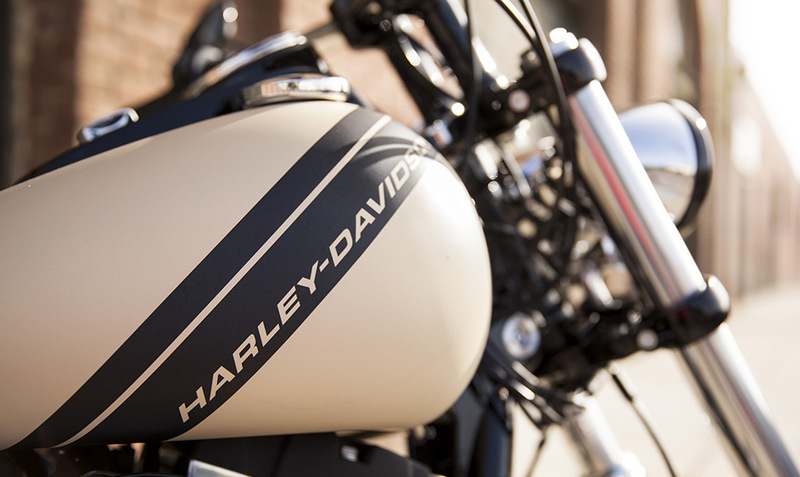 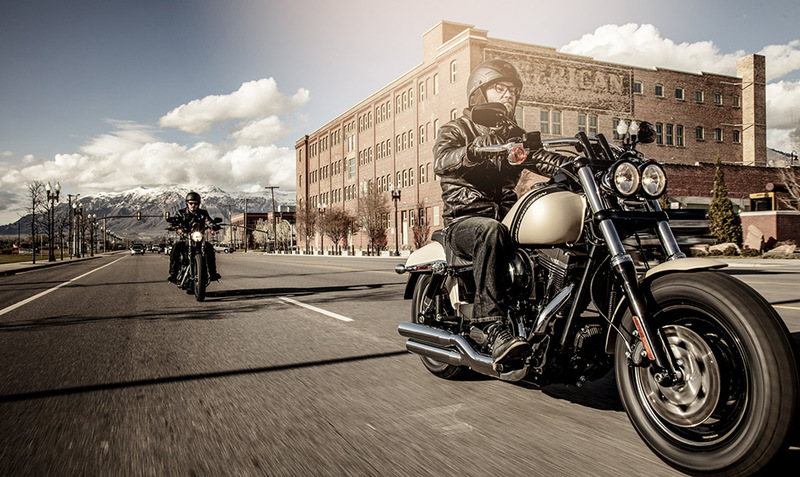 You’ll also enjoy drag-style handlebars for a confident, aggressive riding position. 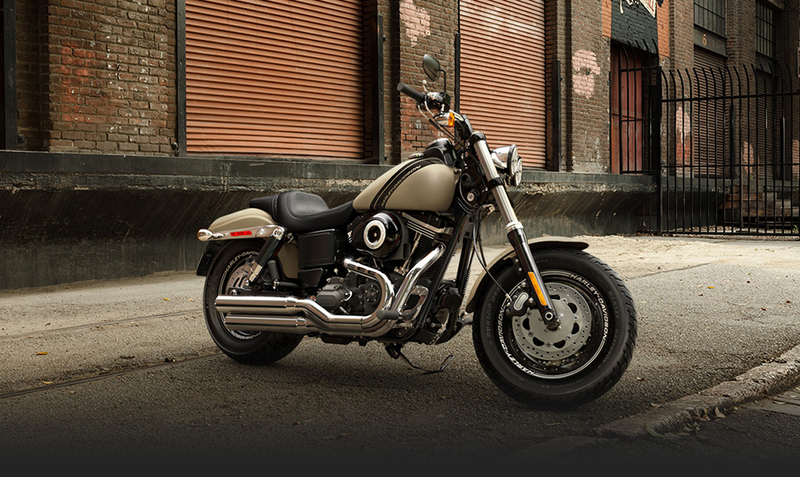 The whole package is tight, drag-strip inspired, and distinctive. 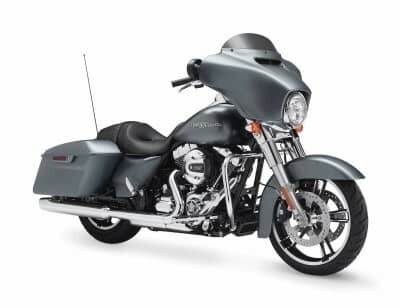 Down to the diagonal tank graphics, the blunt cut mufflers, and the dual front chrome headlamp, there’s nothing else like this bike on the road today.